The Boosters Annual St. Patrick’s Day Corned Beef and Cabbage dinner is this Saturday, March 16th at 6 PM. Get your tickets at the POA office. The Boosters raise money for scholarships for high school graduates in Lake California. Support your community and enjoy a fantastic St. Patrick’s Day Dinner. 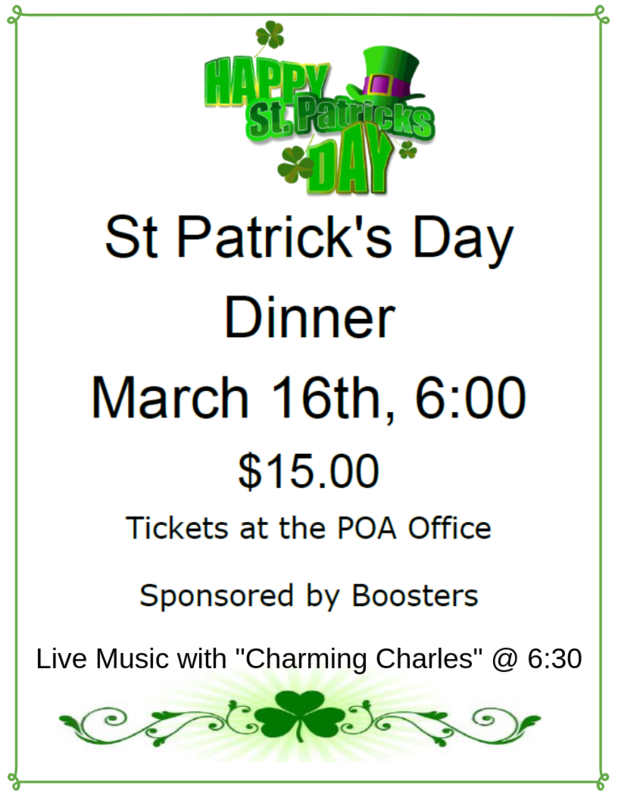 “Charming Charles” will also be performing for those supporting the Boosters, so get your tickets and enjoy an evening of live music and Irish Corned Beef and Cabbage.